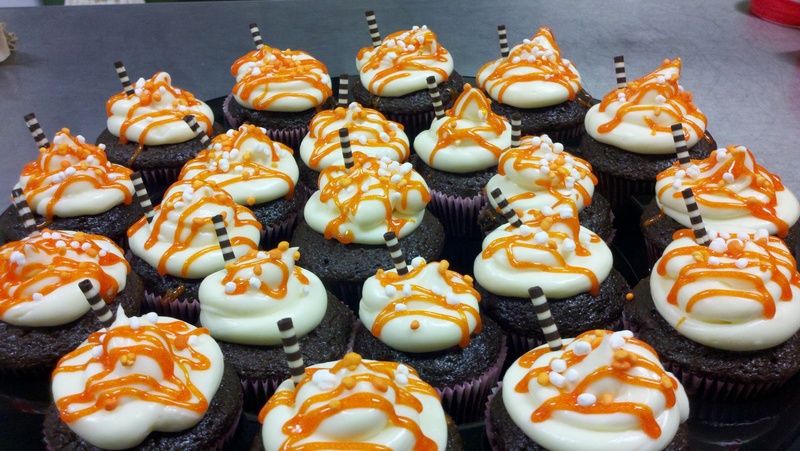 Tonight I wanted to make cupcakes for fall…so here they are! I used the leftover orange coloring gel and added nerds on top. These cupcakes are made with Betty Crocker’s Devil’s food cake mix, and Martha Stewart ‘s Cream Cheese frosting.